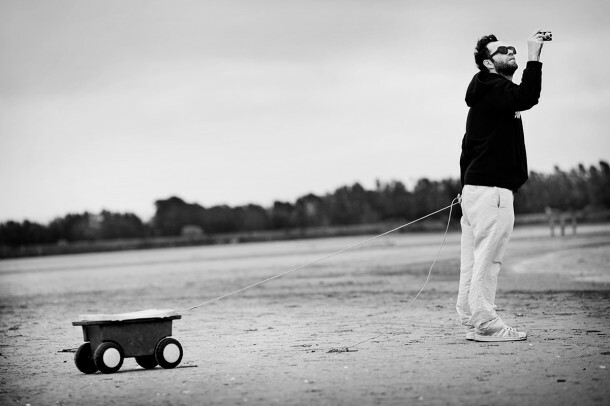 Mark Gonzales has been a member of the adidas Skateboarding family for 15 years. He has been inspiring, developing and nurturing the adidas skateboarding program for that long. To honour this occasion a special collection of footwear and apparel, inspired and created by Gonz’s illustrations and creative mojo has been launched. 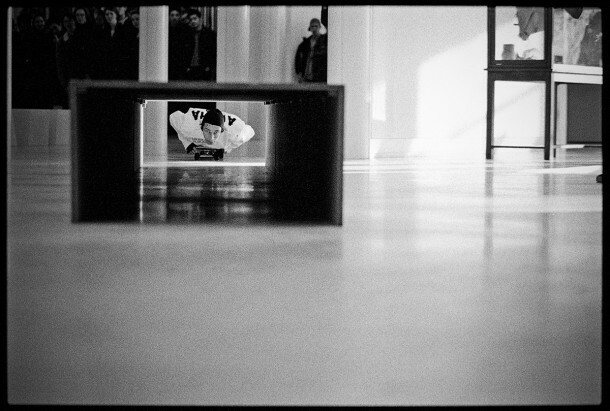 To celebrate this occasion adidas is hosting ’15 years of Gonz and adidas’ exhibitions in key select cities around the world. Johannesburg has been selected on the continent of Africa. 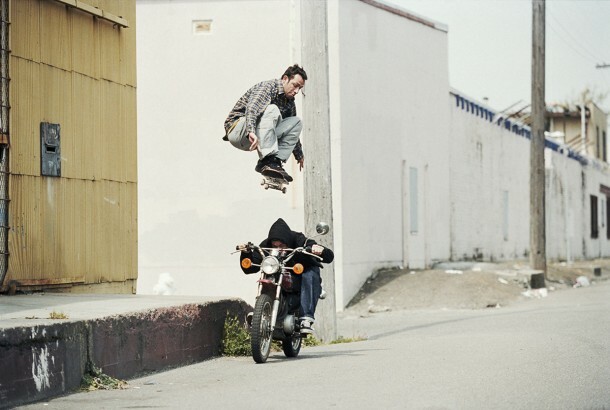 From 06 July to 06 August 2013 adidas Skateboarding and AREA3 will host the highly acclaimed photography exhibition “15 Years of Gonz and adidas” featuring the work of six prominent photographers who’ve known and shot him all around the world over the past 15 years . This renowned San Francisco based photographer was behind the lens capturing the developing skateboarding scene during much of the 1990’s and 2000’s. Having travelled and published work internationally, Gabe Morford now resides at the Deluxe Distribution HQ in his beloved SF as their staff photographer. With both Real and Krooked brands under the Deluxe Distribution umbrella, Gabe has spent many an hour with Mark and was the photographer behind the iconic title photos in Real Skateboards’ Real to Reel released in 2001. Joe has been involved in the skateboard scene since his youth back in Detroit. Having made the trek to San Francisco and subsequently put in the hours of graft to develop his photographic talent, Joe took on the challenge of staff photographer for SLAP and then Thrasher magazine, where he is today. Rarely seen without a cap and a big smile, Joe could also be considered one of the original skate photographers who documented street life. Joe photographed Mark extensively during his stint in San Francisco. Their shared eye and appreciation for the world around them has created incredible opportunities for amazing skate photos as well as candid portraits. Legendary photographer Skin Phillips has been chronicling skateboarding for over thirty years. Hailing from the Swansea skateboard scene (Wales, UK), Skin’s talented eye took him to San Diego in the early 90s where he landed a job at Transworld and has been there ever since. Skin’s black and white photographic style continues to record skateboarding at its finest and serves as inspiration to skateboarders and photographers alike. The combined artistry of Skin and Mark has occurred on numerous occasions over the past few decades. However, the relationship has never been as close as it is today. Skin has recently joined the adidas family as the skate Team Manager where he will also continue his photography. On a small farm property in Northern California lives one of the most highly esteemed photographers in skateboarding. Originally from the East Coast, Brian was compelled to move west to pursue a career as a professional skateboarder. 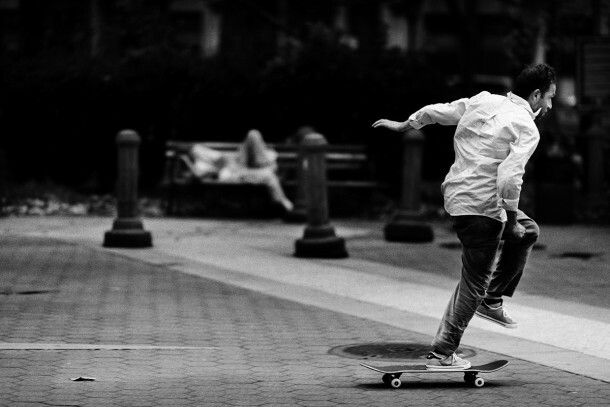 However, his passion for skateboarding became even more evident from behind a camera. His unique and, natural perspective, whether capturing skateboarding or personal photography, has been commended all over the globe. When Brian is not shooting, he can be found cultivating his home-grown vegetables for his family on their self-sustaining farm. Brian Gaberman also happens to be the youngest photographer ever to be featured in B&W, the acclaimed fine art photography magazine. 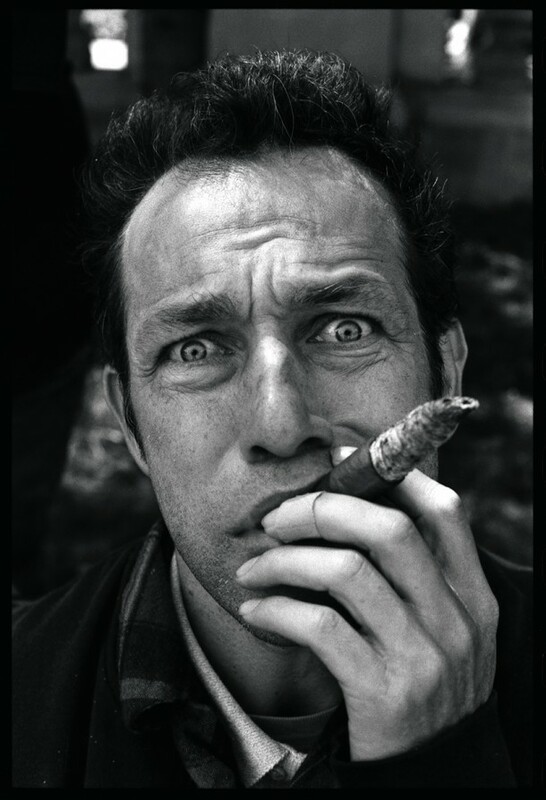 It was Gaberman’s portrait that appeared on the symbolic cover of the 30th Anniversary edition of Transworld Skateboarding (referenced in artist Shepard Fairey’s illustration), where Mark Gonzales was named the most influential skateboarder of all time. Benjamin is truly committed to the authentic documentation of skateboarding and its characters that colour its surroundings. From creating and contributing to some of the best skateboard media outlets in Europe (Sugar, Kingpin, Pause and most recently, Live Skateboard Media) to his photography, Benjamin is dedicated in capturing and communicating the unembellished reality of skateboarding. Owing to skateboarding and common friends, Benjamin and Mark’s paths have been crossing for years. However, the most recent collaboration has been one of Gonz’s ‘norm defying’ dreams—The Circle Board. Made from nine skateboards attached nose to tail, the circle board was brought to Paris in 2010. With an expressive signature style, Spanish photographer Sem Rubio is making his mark on the skate world with his always moody photography. Sem’s love of skateboarding lead to a fateful knee injury, which in turn focused his eyes towards the beauty of skateboarding from behind the lens. In 2001, Sem enrolled at GrisArt, Barcelona’s superior school of photography and never looked back. Ten years on and now based in Catalonia with his wife, son and dog, Sem’s notoriety is rising as one of the most talented skateboard photographers of the moment and last year won the Bright European Skateboard Best Photographer of the Year Award. For the past five years, Sem has been working closely with the adidas Skateboarding team on all of their campaign shoots and bearing witness to many of Mark’s always-entertaining moments.